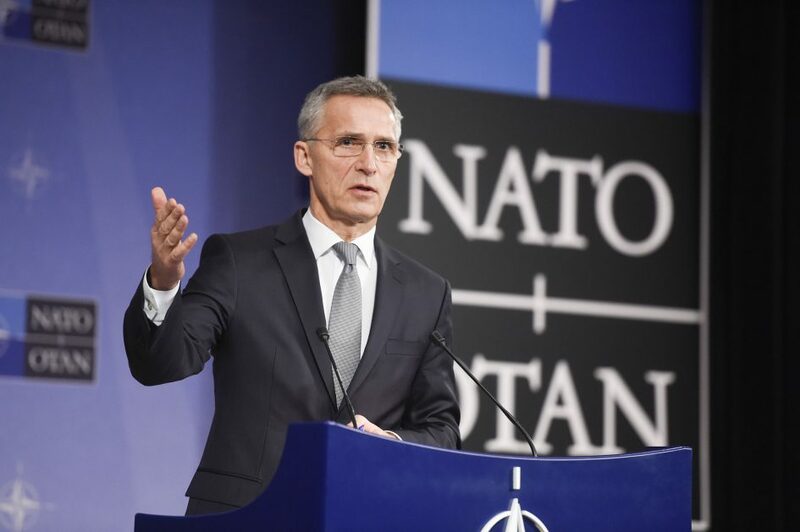 NATO: Statement released February 1 by Secretary General Jens Stoltenberg, on Russia's failure to comply with the Intermediate-Range Nuclear Forces (INF) Treaty. NATO: Statement released February 1 by Secretary General Jens Stoltenberg, on Russia’s failure to comply with the Intermediate-Range Nuclear Forces (INF) Treaty. Following nearly six years of U.S. and Allied engagement with Russia, on 4 December 2018, NATO Allies declared that Russia has developed and fielded a missile system, the 9M729, which violates the INF Treaty, and poses significant risks to Euro-Atlantic security. Allies strongly supported the finding of the United States that Russia is in material breach of its obligations under the INF Treaty and called upon Russia to urgently return to full and verifiable compliance. Since that announcement, the United States and other Allies have remained open to dialogue, and have engaged Russia on its violation, including at a NATO-Russia Council meeting on 25 January 2019.Allies regret that Russia, as part of its broader pattern of behaviour, continues to deny its INF Treaty violation, refuses to provide any credible response, and has taken no demonstrable steps toward returning to full and verifiable compliance. As a result, the United States is suspending its obligations under the INF Treaty in response to Russia’s material breach, and is providing the requisite six-month written notice to Treaty Parties of its withdrawal under Article XV of the INF Treaty. The United States is taking this action in response to the significant risks to Euro-Atlantic security posed by Russia’s covert testing, production, and fielding of 9M729 ground-launched cruise missile systems. Allies fully support this action.Unless Russia honours its INF Treaty obligations through the verifiable destruction of all of its 9M729 systems, thereby returning to full and verifiable compliance before the U.S. withdrawal takes effect in six months, Russia will bear sole responsibility for the end of the Treaty. NATO continues to closely review the security implications of Russian intermediate-range missiles and will continue to take steps necessary to ensure the credibility and effectiveness of the Alliance’s overall deterrence and defence posture. We will continue to consult each other regularly with a view to ensuring our collective security.Allies are firmly committed to the preservation of effective international arms control, disarmament, and non-proliferation. Therefore, we will continue to uphold, support, and further strengthen arms control, disarmament, and non-proliferation, as a key element of Euro-Atlantic security, taking into account the prevailing security environment.We continue to aspire to a constructive relationship with Russia, when Russia’s actions make that possible.